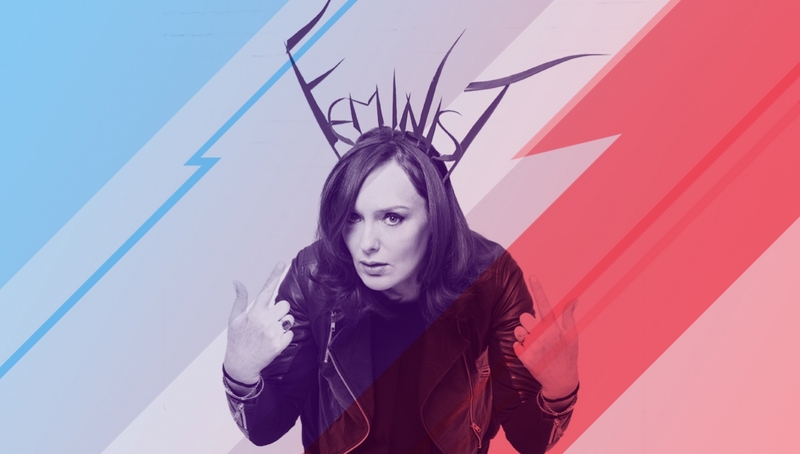 Join comedian Deborah Frances-White and a guest host, for her comedy podcast The Guilty Feminist, recorded in front of a live audience. Each episode Deborah and her guests discuss topics ‘all 21st century feminists agree on, while confessing their insecurities, hypocrisies and fears that undermine their lofty principles. The podcast has been a huge success with over 16,000,000 downloads, since it started at the beginning of 2016. Deborah Frances-White is a stand-up comedian whose award-winning BBC Radio 4 series Rolls The Dice aired in 2015 and 2016. As well as her solo comedy shows, she speaks about diversity and inclusion in the corporate world and presents the Global Pillage podcast. As a screenwriter, she is currently working on a sitcom for the BBC and an independent film shooting in 2017. Very funny… pure guilt-free pleasure.